The island of Seili has been permanently inhabited from the Middle Ages. At that time the island was used for agriculture. In 1619 King Gustaf II Adolf issued an order to build leper hospital on the island of Seili. Seili was chosen because of its remote location. 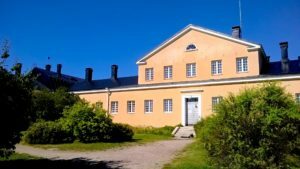 Four years later, lepers from the St. Göran Hospital in Turku and the poor and ailing from the Turku House of the Holy Spirit, including the deaf, blind and physically disabled, were moved to Seili. Many were brought to Seili by force. Life on Seili was hopeless and mortality rate was high. The hospital housed 28 to 60 leper sufferers at a time, the total number amounting to at least 663. 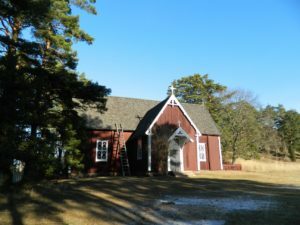 In the 1620s, four residential cottages, a bakery, a sauna and a church were built on the island. Buildings intended for the use of lepers were placed on a small island next to the main island. In the 1700s, the two islands became connected due to land uplift and landfill by the shore. During the Great Northern War in the early 1700s, Russian brigands invaded Seili and the staff, and most of the patients fled to Sweden. After the war, the church was in such poor repair that it was demolished. In 1733–1734, a new cross-shaped church was built of timber. The church has separate doors and inside areas for lepers non-lepers. Leprosy began to disappear from Finland in the 1700s. Seili’s last leper was buried in the Seilis graveyard in 1785. Hospital operations were consequently transferred to the main island, where a mental asylum was built in the early 1800s. The Seili mental asylum was closed in 1962 and the buildings were taken over by the University of Turku. 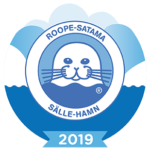 The Archipelago Research Institute began operating in 1964 focusing on studies of the ecosystems of the Archipelago Sea and the entire Baltic Sea area.The former Seili hospital area is one of the nation’s most important built cultural environments. The museum church and the hospital buildings are protected under the Decree on the protection of buildings. During spring and summer 2017 variety of new services will be opened on Seili. 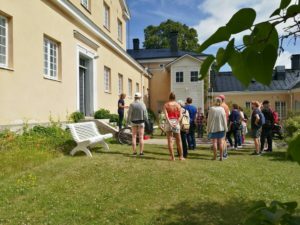 Visitors will have an opportunity to get to know islands history and research conducted by University of Turku even more closely during guided tours. Also accommodation services and a restaurant will be opened.